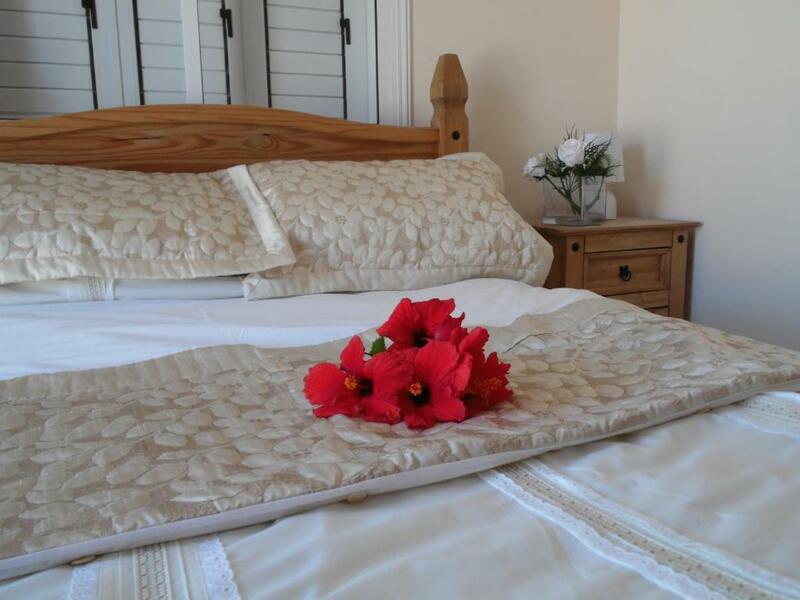 Lock in a great price for Knossos Villa – rated 8.9 by recent guests! 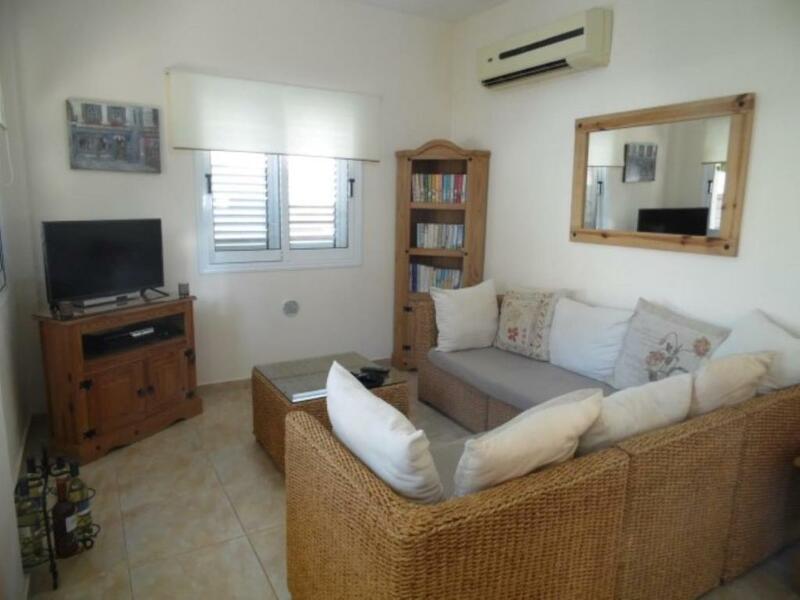 Located in Protaras, this sea-view detached villa features a terrace and a garden with an outdoor pool and a barbecue. 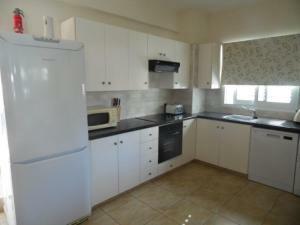 The property is 5.6 mi from National Forest Park Kavo Gkreko and free private parking is provided. Free WiFi is available throughout the property. The kitchen is equipped with a dishwasher and an oven, as well as a kettle. A flat-screen TV with satellite channels is featured. Other facilities at Knossos Villa include a terrace. Trinity Beach is 1,650 feet from Knossos Villa, while Protaras Ocean Aquarium is 1,950 feet away. 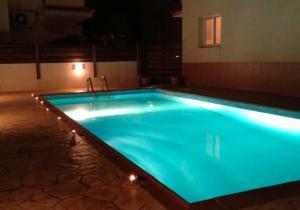 The nearest airport is Larnaca International Airport, 25 mi from Knossos Villa. 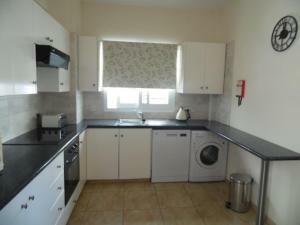 When would you like to stay at Knossos Villa? This villa has a balcony, sofa and patio. Fabulous sea views from the roof terrace and front bedroom patio. 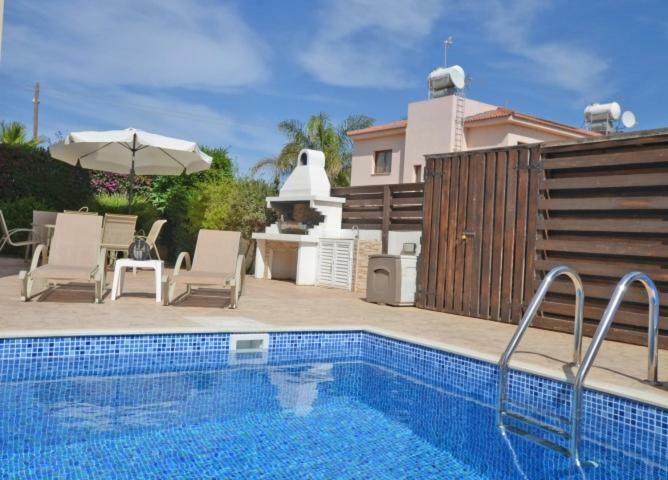 3 bed villa with large private pool set in gorgeous landscaped gardens, fully fenced and gated perfect for smaller children. Free wifi and local satellite channels (limited language channels). We are an established company in Cyprus for over 6 years, based here permanently and our resort representatives are on hand throughout your stay to assist in any way they can to make your stay an enjoyable one. Ayia Triada is located just outside of Kappars and Pernera. Several sandy beaches are dotted along the coastline of Ayia Triada with only a few bars and restaurants within walking distance. There are local buses that pass the villa regularly during the summer months that take you into Pernera or Protaras or Ayia Napa. Ayia Triada was originally a small fishing resort with lots of coves and bays to explore. House Rules Knossos Villa takes special requests – add in the next step! Knossos Villa accepts these cards and reserves the right to temporarily hold an amount prior to arrival. Please inform Knossos Villa of your expected arrival time in advance. You can use the Special Requests box when booking, or contact the property directly using the contact details in your confirmation. Very nice villa in nice and quiet part of Paralimni. The villa was equipped with everything we needed. The swimming pool was cleaned twice during our stay and was great. The villa itself is new and very clean. Our host accommodated all our needs and was easy to reach during working and outside of office hours.